An earthquake with a preliminary magnitude has struck in Kumamoto Prefecture, on the southern Japanese island of Kyushu. At least 20 injuries have been reported. 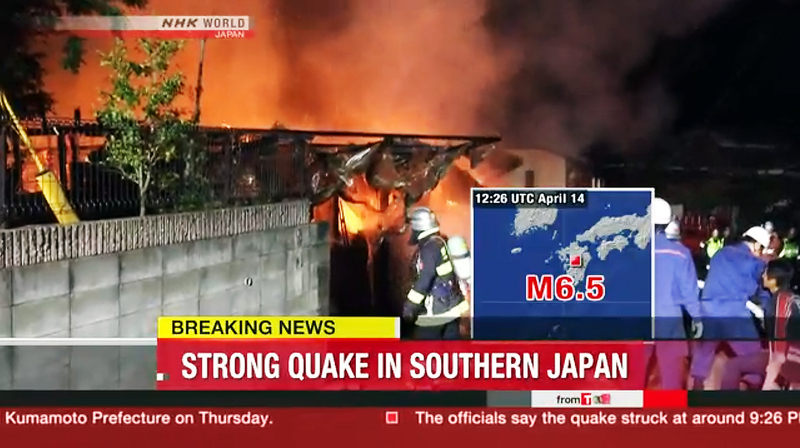 Kyodo News reports three fatalities. NHK reports dozens of collapsed houses in the city of Mashiki, with at least 7 people buried in the rubble. According to NHK, thousands of households are without power or gas service. No tsunami warning has been issued and operations at the nearby Satsuma-Sendai nuclear power plant in Kagoshima Prefecture are said to be normal.